When I press the ‘Email Report’ button, who gets the email and what are the contents? “Please find attached your The GC Index Personal Profile Report. We hope the report proves to be insightful! •Understand your core profile and how you contribute to a task, team, role or organisation. •Identify your strengths and how you contribute with the greatest impact. •Uncover your approach to leadership and role in a team. Please note, the report results will only be truly valid when discussed with you in an individual or group feedback session with an accredited GCologist. Please contact your GCologist to arrange a suitable time for a feedback discussion. The participant has completed index, when can I expect the report? The report is usually generated withing a couple of hours after the participant has completed the index. If there is no report to download after 24-48 hours, please contact info@thegcindex.com. In a future release we are going to have the links viewed straight away in the participants table. If you cannot see the links that you have created, please use the browser refresh button. What are the methods in the purchase history tab? GIFT – this method is where the admins of the gcologists.com have given you a free summary or full report. INVOICE – this method is where you have paid either by BACS/Invoice, and the admin of the gcologists.com have entered the values reflecting what you have paid for. CARD – this method is recorded with the transaction ID if you paid using the credit card / debit card option via the ‘buy links’ tab. 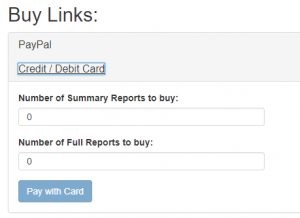 PAYPAL – this method is recorded with the transaction ID if you paid using the paypal option via the ‘buy links’ tab. When I create a link, it says the email is already in use BUT I cannot see it in my participant list? It is possible that the email has already been used via another gcologists. Please contact us on info@thegcindex.com / 0207 637 2500 so we can check the status of that email. Should you need to send that user another link to do the survey again, then please contact us. Can you sort the ‘view link/invite history’ tab? Yes you can! click on the sorting icon next to any of the titled columns. In this example, we can sort the link ID from newest (highest link ID value) to the oldest (lowest link ID). Where is my GCologist’s discount? The GCologists discount will only be visible when you click on the ‘Buy Now’ button. When I try to ‘Buy Links’. it’s displaying UK prices. How do I change my region? When you registered, you may not have changed your region OR you were unsure what country falls under a particular region. You cannot change the region and you will need to contact us on info@thegcindex.com. To see a list of accepted regions, please visit When I register there is no option for my region. When I register, there is no option for my region? I have registered but I have not received my credentials after 48 hours? During holiday periods and weekends, the moderator will take longer to approve/deny requests. So please take this into consideration. Please make sure you check your Junk Mail folders. However, you are free to contact us at info@thegcindex.com and ask to investigate further. How can I batch download all the reports generated? Can I convert a Summary to Full link/report and vice versa? Currently, you cannot convert a Summary to a Full link and vice versa. If the person has not taken the Index then please delete the token via the ‘delete token’ button and you can recreate link as long as you have the appropriate credits. Can I create a report to show who has completed the Index? In the view link tab, you should see a ‘export to..’ button. This will export the data to either a CSV or PDF. Exporting it to CSV will allow you to import the data to a reporting tool like Microsoft Excel and manipulate the data to your liking. We are working on improving the button feedback. In the meantime, please wait for upto 1-2 minutes and you will get notified if the invitation has been sent or failed. When you view your links to see the status of the Index and possibly download the report, you might see a green button in the actions column labelled ‘Polishing…’. This means that the report is still being processed and you will need to come back after 24-48 hours. Can I pay by invoice/bacs? Please contact us on info@thegcindex.com to see you are eligible to pay by invoice. I don’t have PayPal or don’t want to pay by credit card. Any other payment options? As of January 2018 we have implemented an alternative credit card payment method. If you want to pay using another method, then please contact us on info@thegcindex.com to see you are eligible to pay by invoice. 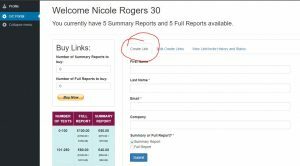 What’s the difference between a Summary report and a Full report? The The GC Index Costing Model 2017 also lists out the pricing model for the reports/links. What is the pricing scheme? The PDF also describes the differences between the contents of the Summary report and Full report. I have copied the link, used my own email to send, but the status does not say an email invitation is sent? If you copied the link via the ‘copy link’ button and used your own email client to send an email, our system will not recognise IF the participant was sent an email. 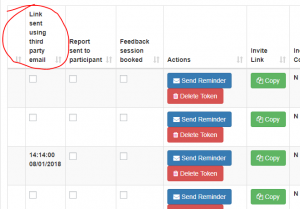 If you would like to see if the participant was sent an email/email reminder, then you must use our system by pressing the’ send invite’ button in the view link tab. However, we have added a column where you can manually check if you have sent an email using your own email client. This is for your benefit, but we would highly recommend using the portals email system. The email will be from info@thegcindex.com and will use our standard email invitation templates. Can I bulk import to create the links? 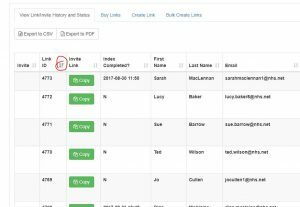 You can bulk import a list using a CSV formatted file. Currently, there are limitations and we are actively working on improving the bulk import experience. You can only bulk import 25 participants at a time. Via the ‘GC portal’ side menu, please click on the ‘bulk import’ tab. Download the example CSV to fill out. Fill out the first name, last name and email address. Review and save the CSV file. Come back to the bulk import section and click on choose a file. Find the file to choose and press upload file. You will need to review all the users and make sure to choose either Full or Summary. If you do not have enough credits, you will be informed to purchase more credits. Click on the ‘Add user’ button and the button should change to ‘User Added’. Once done, please review the ‘view link/invite history and status’ Tab to send a email invitation to the user using our email services OR use your own email client . How do I buy a link/links? On the ‘GC Portal’ page, on the right hand side, you will see a tab where you can purchase links labelled ‘Buy Links’. Fill out the amount for Summary or Full OR both. You will automatically get a total amount (exc vat) in British Pounds before you click on the ‘Buy Now’ button. Please use the pricing table as a guide. Once you press the ‘Buy Now’ button, you will be redirected to our merchant services page where you can either pay by PayPal or accepted credit cards. 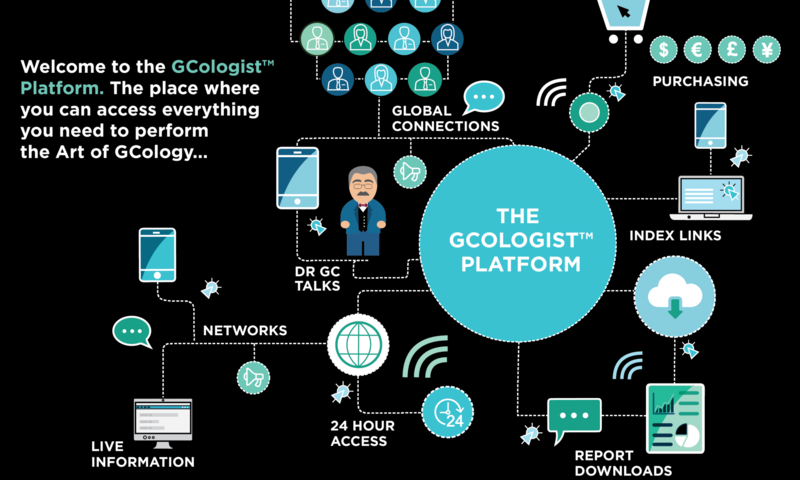 Once you have logged into the gcologists platform. You are presented with your platform summary. You can also click on the ‘GC Portal’ side menu link and create a link via the the tab ‘create link’. This method is the best way to create links if you only have one or a few links to create. First name, last name and email MUST be filled out. 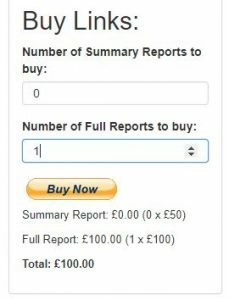 You will also need to choose if the report is a summary or full.